The BC government has introduced an information campaign that aims at preventing sexual violence and misconduct on post-secondary campuses across the province. According to a statement from Minister of Advanced Education, Skills and Training Melanie Mark, the campaign will focus on raising awareness of sexual violence on campuses. 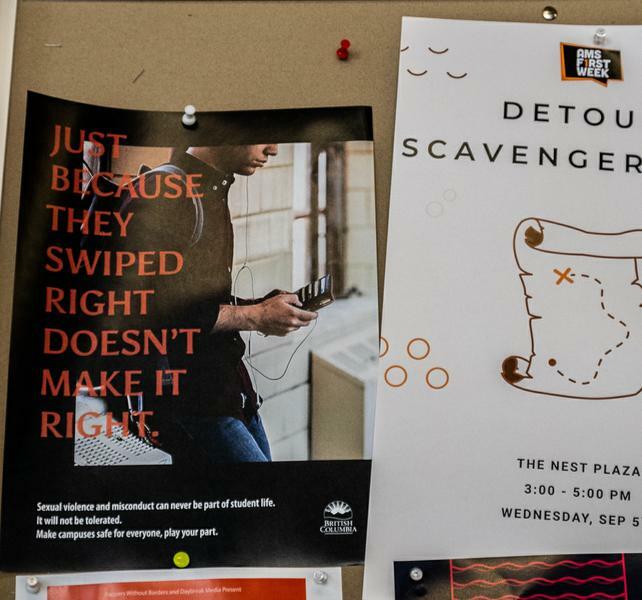 It will attempt to reach primarily male students across BC through social media, drinking venues and campus media. “Statistics show that men are disproportionately the instigators and perpetrators of sexual assault and violence, most often against women, and that around one in every five women will experience sexualized violence while studying at a post-secondary institution,” Mark wrote in an emailed response to a question asking why the campaign targeted male students. Education is especially key at the start of the school year — a time commonly known as the “red zone,” when research shows a majority of sexual assaults occur. All 25 post-secondary institutions in the province are involved in the campaign in some way. UBC is also putting effort towards preventing sexual misconduct going into September. 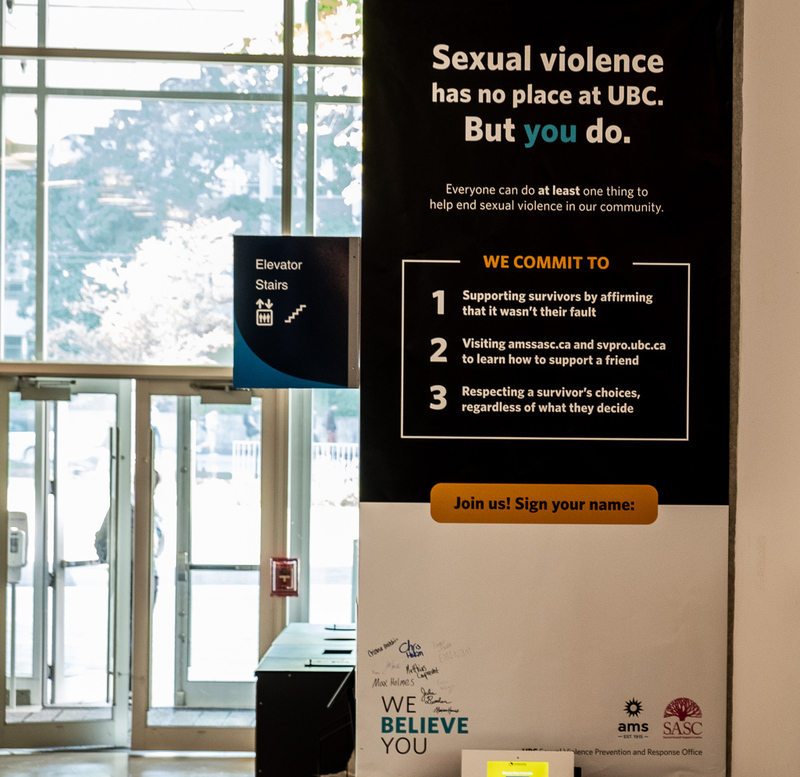 After receiving criticism from the community over their sluggish implementation of the new sexual misconduct policy, which came into effect in May 2017, the university is amping up efforts to raise awareness of sexual assault and support services for UBC community members. “I think one of the things that the awareness campaigns speaks to is that everybody on campus can play a positive role in the prevention of sexual violence by doing at least one thing and supporting survivors — making sure that they know what resources are available, but also taking action to combat those social norms that support inequality that leads to sexual violence in the first place,” said Sonya Boyce, director of UBC’s Sexual Violence Prevention and Response Office. While Boyce acknowledged the concept of the “red zone,” she hopes to keep UBC’s education and prevention initiatives at the forefront of campus consciousness all year long. In partnership with the AMS, the university is holding a “We Believe You” campaign, with large banners to be put up at multiple locations across campus that students can sign to pledge their support for survivors. “The most important thing that we want to convey is that for those who are impacted by sexual violence, there is support available for you and that support is available for you on campus,” Boyce said.